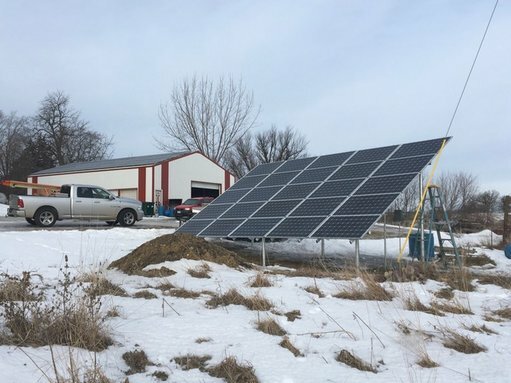 "We've had these panels for 3-4 years (two different installations) and they're great. 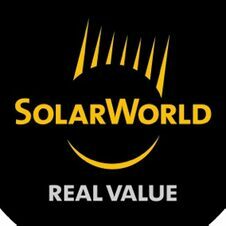 Tim's work was noted by the quality assurance company guy that Solar World sent to our place when they were deciding to let him be an installer for them. The guy said he'd been in construction for 35 years and never seen such clean work and that he usually drove away from a place making notes on what to tell the installer about how to do it better, but that with Tim he couldn't think of a thing. Tim isn't the cheapest you can go, but he's very fair and he's a craftsman who takes pride in his work. In our minds, you can't do any better than that. I have been interested in solar PV system for some time and did extensive research before talking to installers. 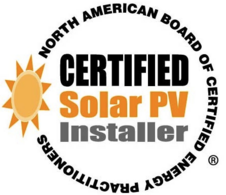 After out first meeting it was apparent that with Tim's extensive experience in PV systems and his qualifications as a Master Electrician and a NABCEP certified PV installer he would be able to provide the quality system I was looking for. As an Professional Engineer involved in construction projects for over 35 years I closely monitored the installation. Tim and his crew answered all my questions, consulted with me when minor changes were needed and quickly gained my trust. The completed system easily passed all the required inspections, looks great, and has been working perfectly. I would highly recommend Green Light Renewable Services. Our team of professionals is here to help you with your energy needs. We specialize in solar photovoltaic (PV) energy systems, including design, sales, installation, and more! We also specialize in energy efficiency projects, building repair and renewal, and electrical repair and installation. Small or large, residential or commercial, Green Light Renewable Services is here to help. Give us a call today for a free site assessment and cost estimate. We'll determine what size PV system you need based on your energy usage and budget. Beyond that, we can show you how to get more than 50% of the system costs paid for by incentives and rebates in the first year alone, depending on your situation. Green Light Renewable Services uses Enphase microinverters. See one reason why we think it’s the best choice for your install. Career opportunities in the solar sector continue to expand, and military veterans are uniquely qualified to fill these well-paid positions. Let's Go Solar has created a new guide that offers strategic avenues to blend a veteran's valuable experience with his or her career and sustainability objectives. Learn more about energizing veterans for solar careers.